Investing in under market value properties wisely can bring you passive income year after year. It’s such an attractive notion that many real estate investors end up getting overeager and jump into real estate investing too quickly without enough thought, and they make big mistakes. I see a lot of new real estate investors make major mistakes especially when the market gets hot, such as it is now in San Antonio TX where I invest in below market value properties. New investors jump in when things are ‘hot’ and they make a lot of errors, and many get out quickly. I have made millions of dollars in under market value property in San Antonio TX, but there are lots of mistakes rookies can make. There are plenty of people out there who have never invested outside of their 401k and will tell you how awful it is to invest in real estate. Or, if they have invested in under market value real estate, they probably made some of the errors you will see here. You should ignore people who just generally bad mouth investing in real estate. I financially retired with distressed properties in San Antonio TX at age 28, so I know investing in real estate can work! There also are people who are actively investing in real estate who just trash the business. They must have made a lot of mistakes and are losing money. You should ignore them too. On the other end of the spectrum, you have people who are overly enthusiastic about investing in below market value properties. If you will only buy their expensive training program, they will show you how to make a million dollars in real estate this year. Most of those programs are taught by ‘gurus’ who do not actively invest in real estate. In most cases, there is nothing in that $30,000 program that you cannot find out mostly for free online or from free mentors. 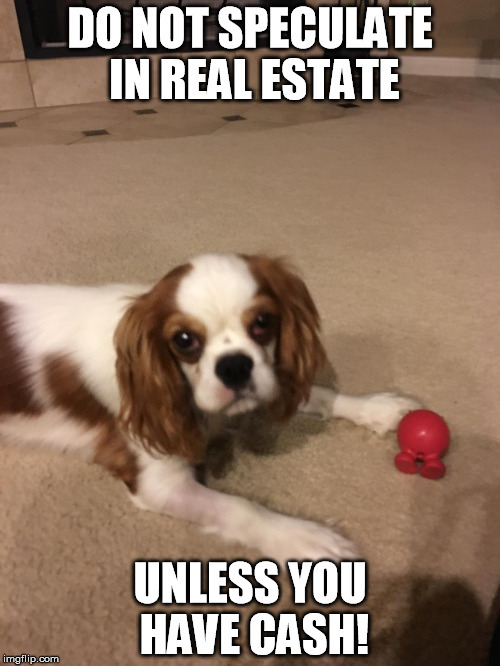 If you must spend some money to learn the business, consider paying a local expert investor a few thousand dollars to teach you how to invest in under market value property. I have personally spent thousands of hours learning my local market in 78207, 78210, 78201 and a few other zip codes in San Antonio. No one knows my under market value neighborhoods better than I do. It is that knowledge that allows me to find really good distressed property deals. The key to being successful in real estate investing is learning your local market so you get good deals under market value in areas that people want to live in. You also need to be able to build an expert team of contractors, agents, investors, real estate attorney, title company, etc. That’s the key to success in real estate investing, not an expensive program. The other option is to partner with an expert wholesale property team in your city who finds you the best under market value properties. There are plenty of good ones out there. In my case, I buy the distressed properties for cash after doing careful research on the house and the area. Then I resell the house to an investor, do the $30,000 in repairs for them, and resell it with owner financing. This is a good strategy for the out of state property investor who does not have the time to be a landlord or to become an expert in the market. Here’s a great example of the kind of under market value investing I do. When you buy real estate and wait for it to appreciate, you aren’t really a real estate investor. You are a speculator. Now there is nothing wrong with speculating in real estate; I have bought some land outside San Antonio before and waited for it to appreciate and I did ok. I also bought a car dealership at 1/2 price and waited a year and then resold it for a 100% profit. But buying for appreciation is not my main business. And here’s the key – I have passive income coming in from my investment properties, so I can afford to speculate. Many under market value real estate investors will get into the business without a lot of cash and will buy a property waiting for it to appreciate in value. This is big trouble waiting to happen. That property may be producing negative cash flow, that is, costing you money every month, while you wait for it to appreciate. 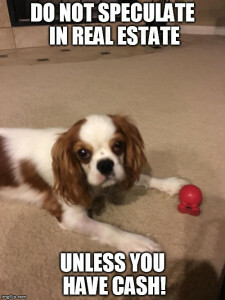 I do not care if my under market value properties appreciate or not. If they do, fine, if not, fine. I still am making 12% per year on my properties without maintenance (I owner finance everything I own). The bottom line on appreciation is you never know exactly when house values are going to go up or down. Betting the farm on that is a risk I am not interested in. It also is not a good idea to buy a fix/flip house and hope for appreciation. The market has to keep going up in value for you to turn a profit. A ton of flippers went bankrupt in the last crash doing this. I mostly buy and hold my investment properties in San Antonio, truly one of the best cities to invest in real estate (strong economy, cheap under market value properties, growing population). But when I do buy a flip property, I buy it 20% under market value or more so I am well protected from a downturn in the market. This is one of the killers of new real estate investors – they spend too much on repairing the house. It is easy for even experts to underestimate the repairs needed on a property. I own a construction company and I usually do about $20,000 of rehab on an under market value property. But sometimes when I get in there, I see that the foundation needs more work than I thought. Fortunately, I can afford it and I always add about $5000 or $7000 to the cost of the rehab to be safe. New investors will very often vastly under estimate repair costs, and overpay a retail priced contracting crew for the work. There goes your profit. I’ve done nearly 1000 deals in my career with thousands of properties, so I know what a rehab is going to cost. I also owner finance my houses to blue collar workers, so I repair the house enough to get it sold, and leave the rest of the work to the end buyer. Remember to not over improve the house. People tend to want to make the house as nice as where they live. You do not want to make the house any nicer than houses on that street. I do not advise new under market value property investors buy an old house on their own. The older the home, the more fixes it will need. And that old house may eat up all your profits in repair costs. You really should partner with an expert real estate investor in your city to make sure you make money on your first deals. A new investor often will pay too much for the house, under estimate the repairs, spend too much on the rehab, and then overprice the house when they sell it on a flip. That house could sit for months and be difficult to sell. I am not a regular flipper as it gets harder and harder to make a profit when the market is appreciating, such as it is now in Texas. I find that I can make more money in more real estate market situations with buy and hold, owner finance. Previous PostPrevious What Are Some Pitfalls of Investing in Out of State, Under Market Value Properties? Next PostNext Should I Invest in the Stock Market or Real Estate?